SIDNEY — Urbana Mayor and Civil War buff Bill Bean will be one of the presenters at this year’s Civil War Living History Weekend, which will be held Sept. 15-16 at Tawawa Park. Bean will be speaking about the research he has conducted into the lives of African American Civil War troops from Champaign County who served in that conflict. “I was truly surprised that he had been researching African-American troops from Champaign County while I was simultaneously researching African-American soldiers from Shelby County. He was helpful in suggesting sources and, in more recent months, has even provided me with information about individual Shelby County soldiers,” Barhorst said. Barhorst chairs the planning committee for the Civil War Living History Weekend. Robert William “Bill” Bean has served as mayor of the city of Urbana since 2012. Born and raised in Urbana, he attended South Elementary School, graduated from Urbana High School and subsequently graduated from Urbana University. He is the first mayor of Urbana to hold a degree from Urbana University. Bean is a member of the First Families of Ohio. His family came to Ohio in 1806. Bean has three great-grandfathers and numerous uncles who fought in the Civil War. Their having served in that conflict was one of the things that originally stoked his interest in the Civil War period. “I’ve long been interested in genealogy,” Bean said. “As I was researching my family lineage, I came across a man with my grandmother’s surname that I didn’t recognize. As I researched him, I discovered that he had enlisted in the 54th Massachusetts as a private, I began wondering how many other African-American soldiers might have come from Champaign County. “As I continued my research, I ultimately found more than 80 soldiers who served during the Civil War who were either from Champaign County or who, after the war, moved here,” Bean said. Bean’s research has thus far taken more than 10 years. 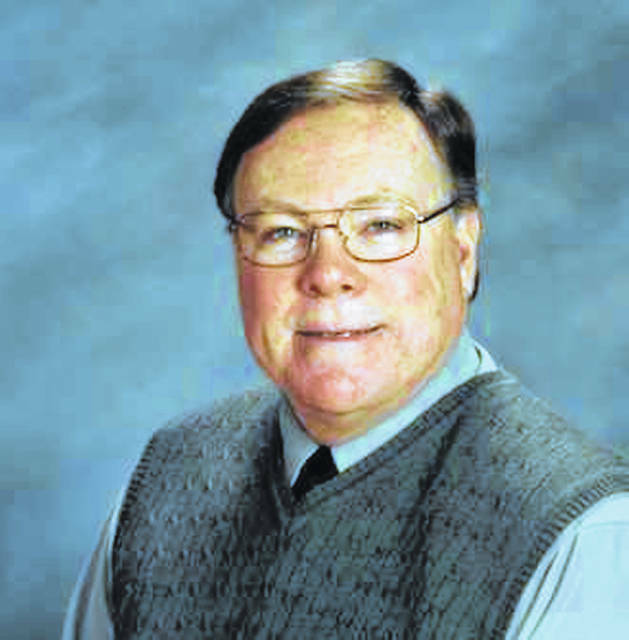 A Blue Knight, Bean served on Urbana University’s Board of Trustees for 20 years and is a past president of the Urbana University Alumni Association. He is a member of the Urbana Lions Club, the Simon Kenton Pathfinders and the American Philatelic Society. He has been a member of the National Stamp Dealer’s Association for more than four decades and frequently attends international stamp shows to exhibit and sell stamps. In addition to stamp collecting and genealogy, Bean enjoys bicycling, studying flags of the American Revolutionary War and is an avid Reds fan. Married to Audra, they are the parents of Teresa Matteson, who along with her husband Casey, have two children, Lilly and Landon. During his presentation, Bean will be talking about some of the African-American soldiers from Champaign County he’s found in his research. His stories will include information about the units in which the soldiers served and some of their exploits during the war. “Many of the battles in which they fought are rarely written about or discussed,” Bean stated. Sidney’s biennial Civil War Living History Weekend is scheduled to be held in Tawawa Park on Saturday, Sept. 15, and Sunday, Sept. 16. Bean’s presentation is scheduled for Saturday at 3 p.m. and again on Sunday at 11 a.m.
Sidney’s Civil War Living History Weekend is co-sponsored by the Shelby County Historical Society, the Sidney Visitors Bureau and the city of Sidney. The planning committee includes Barhorst, Shelby County Historical Society Executive Director Tilda Philpot, Sidney native now Tipp City resident and Union re-enactor Doug Slagel, Confederate re-enactors J.R. Sharp and Chad Cochran, whose Company B of the 1st Tennessee Infantry camped at Brookside again this past spring, and Duane Gaier, Sidney’s director of Parks and Recreation.